India has roughly around 300 million cows. 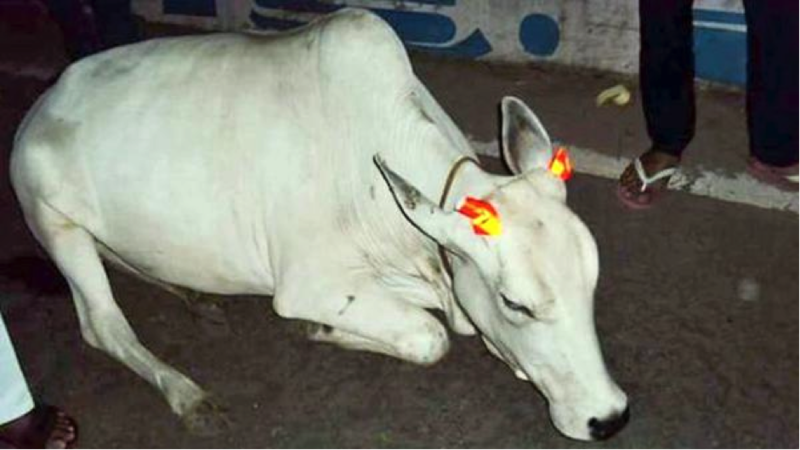 In many parts of the country cows are worshipped as Gods. 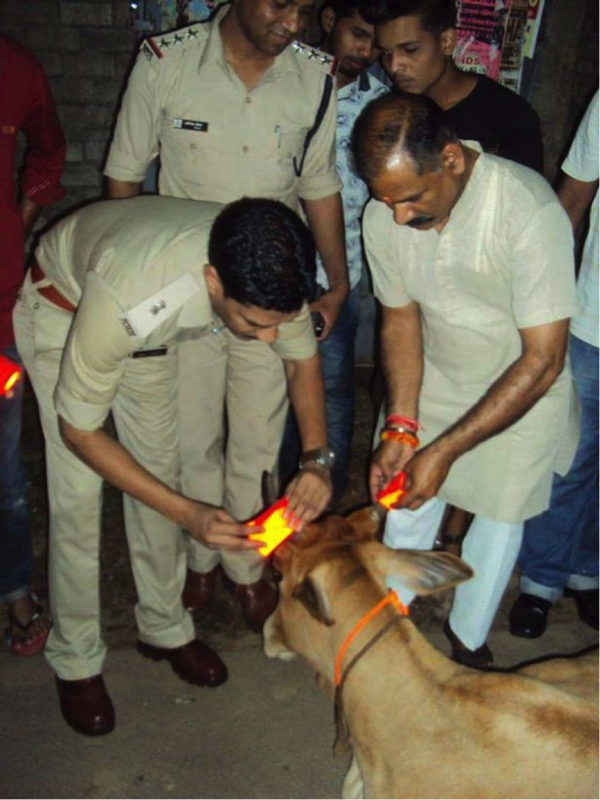 Indian’s consider this domestic animal sacred and holy and there are many God men who are against killing of cows. Cows are free animals and a large percentage of them roam around without any restraints. This makes them vulnerable, especially at nights, to get hit by motorists. That’s why Indian government has taken a great initiative. 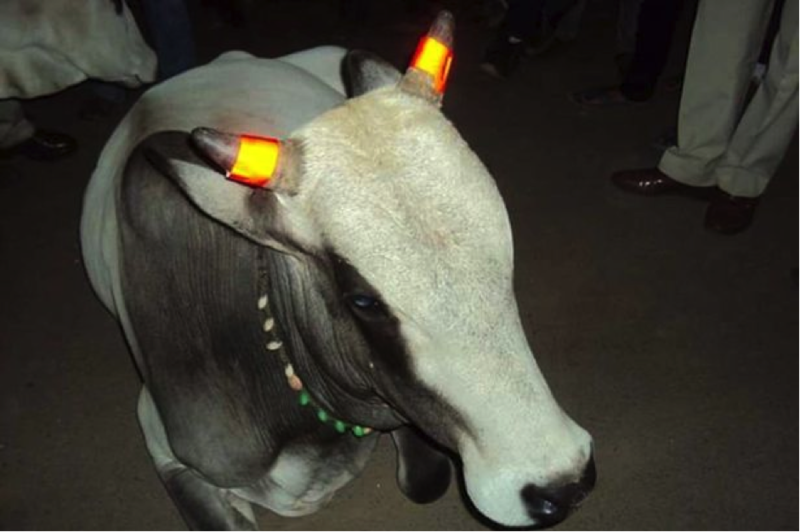 Post to a series of animal accidents in Madhya Pradesh, the government decided to use orange glow bands to be attached around the horns of the cows and bulls in the area . These strips are similar to that of cyclist which they wear around their ankles. Following the initiative, the government looked up the accident statistics. In a month the percentage of deaths and accidents overall dropped by 7%. Although the trial has been conducted at a smaller scale, the government is planning to expand the program in other parts of the nation as well. However, the orange glow strips needs to be changed occasionally since it does not stick up more than 2 weeks. And so, now these holy animals will get a radium coating on their horns. Although, the program is yet to be full-fledged as the major concern is Radium being radioactive and is health hazarding, we are keeping our finger crossed.